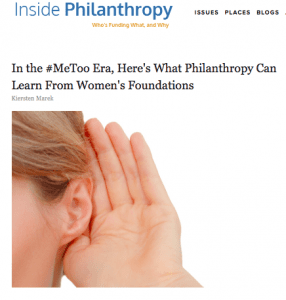 Please support journalism about feminist philanthropy by subscribing to Philanthropy Women. I have good news: Philanthropy Women continues to flourish and gain momentum. Our readership continues to grow and our traffic is about 40% higher on average than it was a year ago. Our visibility is also growing, and our premium access subscriber base is beginning to generate income that allows us to expand what we are doing. Now we are reaching out to you, dear readers, and asking for you to become premium access subscribers. Our ability to become sustainable in the long-term will depend on building a diverse subscriber base. By becoming a subscriber, you will help fund our work and the feminist community. You will have access to all of our content, including exclusive interviews with top funders and thought leaders in the gender equality philanthropy field. Your support will also be helping us sustain our mission of showcasing the exciting and evolving landscape of feminist philanthropy. Gender Matters by Kathleen E. Loehr explores how fundraisers can widen the aperture on their lens for approaching donors in order to maximize women’s giving. Once you study women’s philanthropy for long enough, you begin to recognize that a confluence of events relating to women and giving are changing the philanthropy landscape in significant ways. One of the scholars who has studied women’s philanthropy and done this dot-connecting is Kathleen E. Loehr. 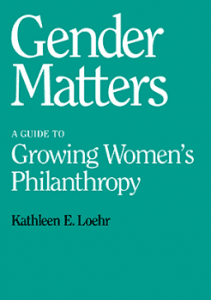 In her new book, Gender Matters: A Guide to Growing Women’s Philanthropy, Loehr addresses the important question of how fundraisers and those committed to women’s giving can take specific actions that will increase women’s philanthropy – already an area of giving scheduled for a large uptick in the near future. It’s always nice to be recognized. This morning I learned that Philanthropy Women made the Feedspot Top 40 list for philanthropy blogs. The Best Philanthropy Blogs are chosen from thousands of Philanthropy blogs in our index using search and social metrics. We’ve carefully selected these websites because they are actively working to educate, inspire, and empower their readers with frequent updates and high-quality information. 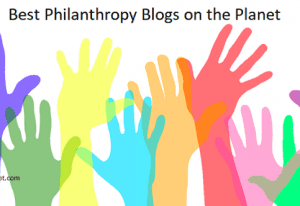 Many of my favorite resources for philanthropy are on this list, including CEP Blog, Philanthropy News Digest, the Chronicle of Philanthropy, and HistPhil. Also featured are some international, family, and community blogs that I will definitely need to check out. Author Kiersten MarekPosted on April 4, 2018 April 21, 2018 Categories Events, Family Foundations, Feminist Philanthropy, Gender Lens Grantmaking, Philanthropy Women, Women LeadersLeave a comment on Good News: Philanthropy Women is in the Top 40 Philanthropy Blogs! Check out the Op-Ed piece I wrote recently for Inside Philanthropy, which explores the ways that the #Metoo movement — the mass uprising of sexual abuse and assault survivors seeking justice — is driving a shift in power and gender dynamics in our culture never before seen. 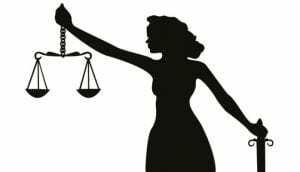 With news of sexual abuse occurring for decades in children’s sports like gymnastics and swimming, and agencies like Oxfam facing major repercussions from reports of sexual misconduct of development staff, #MeToo is helping to open up essential litigation and public discussion on sexual behaviors and norms. 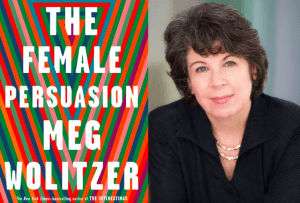 The #MeToo movement is challenging power structures that long enforced the silence of women who endured sexual harassment, abuse and assault. But while the start of this movement is often traced to revelations last October about Harvey Weinstein, it’s important to recognize that there’s a much deeper backstory, here—one in which philanthropy has played an important role. Tarana Burke will be hosted by Brown University and Rhode Island School of Design on February 14, 2017, for a discussion on the evolving #Metoo movement. It’s a busy week for me, as well as for a lot of other gender equality advocates. Some big names in gender equality are coming out for Valentine’s Day. Here’s a list of a few of the events going on to give voice and power to gender equality movements on February 14th. 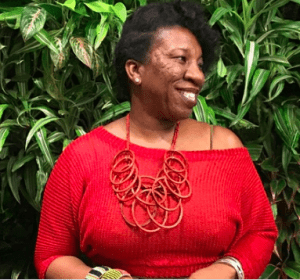 Tarana Burke Will Speak At Brown University: The recently rediscovered leader of the #Metoo movement, Tarana Burke, will be hosted by both RISD and Brown University for a discussion on February 14th. The title of the discussion is, #MeToo: What’s next in Healing and Activism, and the event is already sold out, but if you want to get on the waitlist, you can go here. 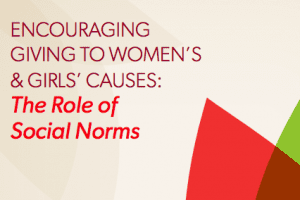 Forbes has a new article by Marianne Schnall entitled The Rising Activism in Women’s Philanthropy, which cites many of the organizations we have covered in depth at Philanthropy Women. 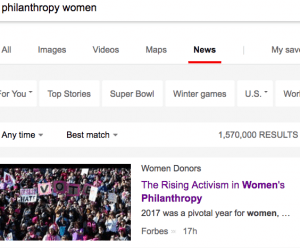 What a great way to start the day, with my daily news search for the term “philanthropy women” turning up an article on Forbes that discusses both our fiscal sponsor, Women’s Funding Network, and one of our spotlight organizations, Women Donors Network. 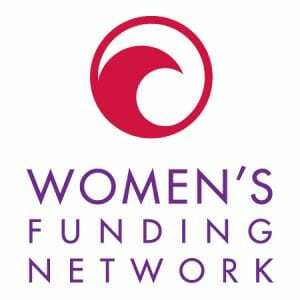 The article also talks in detail about other work we’ve covered, including Emergent Fund’s rapid response funding for the Resistance, and the role that Donna Hall and WDN have played in bringing together progressive funders this past year. With funding from the Bill & Melinda Gates Foundation, a new report from the Women’s Philanthropy Institute outlines key traits of high- net-worth women donors. A new report out from the Women’s Philanthropy Institute helps to distill some key traits that progressive women donors share. 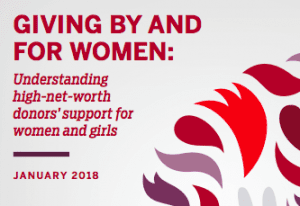 The report, entitled “Giving By and For Women,” is a first-of-its-kind study involving in-depth interviews with women donors who are focused on giving to women and girls. 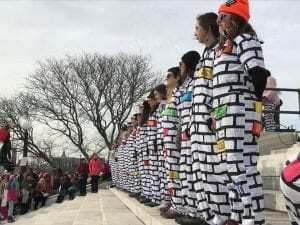 Some interesting pieces have been written about this year’s global Women’s Marches, but none beats the Washington Post story by Helaine Olen, which posits that the media has largely ignored this major political event, despite its indication of massive social upheaval happening right under our noses. While estimates of the size of Los Angeles’s march ranged from 500,000 to 600,000, and Las Vegas hosted the launch of a national voter registration campaign called #Powertothepolls, the political talk shows on Sunday morning barely made mention of the uprising in the streets.